Beard Growth Spray - Increase your Beard Growth! Beard Growth Spray is a herbal breakthrough formula containing the herbal active ingredient Maima, which revitalizes hair follicles and causes them to shift from a dormant phase to an active growing phase. New facial hair will be grown within a month. This pilatory is mild, safe and free of toxicity without hurting your skin. 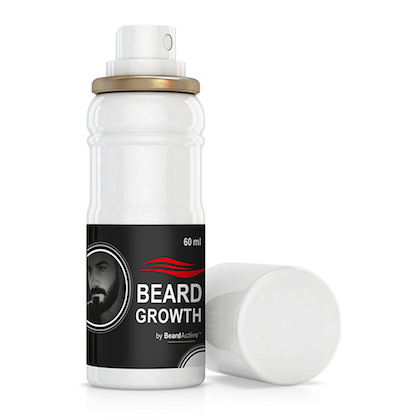 BEARD GROWTH SPRAY QUICKLY REVERSES THE CORE CAUSES OF POOR FACIAL HAIR GROWTH! 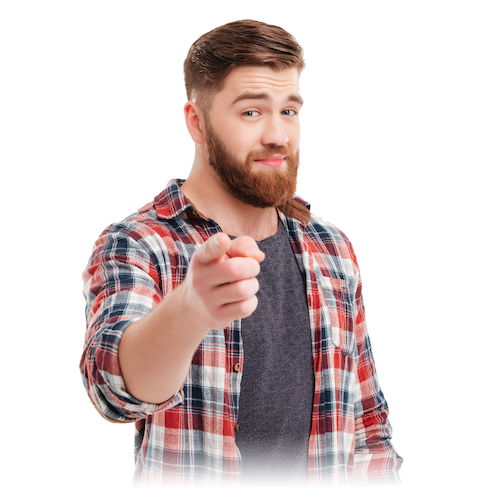 Every year, thousands of men just like you search high and low for an easy way to enhance the growth of their facial hair. Our Beard Growth Spray provides you an effective, easy-to-use, 100% all natural solution. The key to maximizing beard growth is understanding how facial hair grows and the most common problems men like you are forced to battle against. WHY SHOULD YOU TRY BEARD GROWTH SPRAY TODAY? Taking advantage of only natural ingredients, BGS gives you the opportunity to jumpstart your facial hair growth. Most men who cannot grow evenly thick facial hair are victims of their own genetics. The problem is that their facial hair spends too much in the dormant stage, rather than the growth stage. BGS relies on a unique combination of natural ingredients to wake up your facial hair in no time at all. 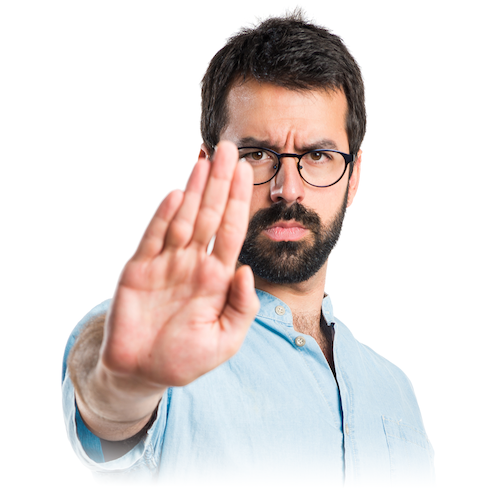 As a result, your facial hair will spend more time actively growing rather than lying dormant. It is impossible to make a patchy, scruffy beard look good. The underlying problem is that the facial hair is not growing at the same speed. 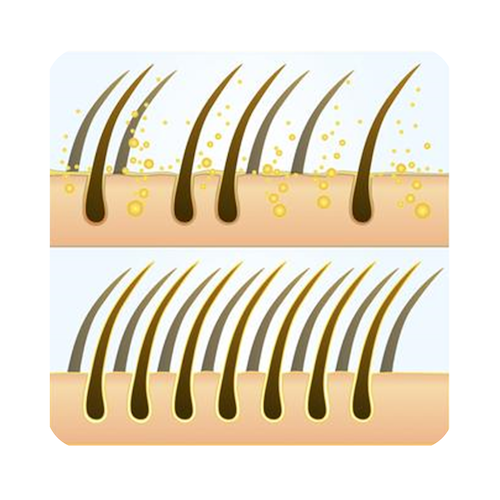 In many cases, certain areas actually aren't growing any hair at all. Beard Growth Spray gives you an easy-to-use solution which makes it easy to fill up those pesky bald spots. In as little as a month, BGS will get your facial hair to appear thicker and fuller without toxic chemicals. Most of the hair growth products on the market today are reliant on a variety of potentially toxic chemicals. As a result, they often leave your skin red and irritated - especially with repeated use. Our Beard Growth Spray completely eliminates this problem by utilizing a unique combination of 100% natural, safe, and healthy ingredients. Saw Palmetto was first used in hair loss prevention products as it blocks the enzymes which are producing DHT, an androgen that causes hair loss. Over the years, a variety of studies has been noting that Saw Palmetto has the ability to provide up to 60% better hair growth results! Angelica Root Extract has been used in tonics for thousands of years and is well-known for its Vitamin E richness and circulation boost. It also promotes healthy, long-term hair growth because it helps oxidizing the blood which leads to an improved oxidation of hair cells. Tea Tree Oil has been held in high regard as an excellent natural ingredient to ensure better hair growth. It is often added to shampoos and conditioners to help improve the overall healthiness of hair. Furthermore it boosts facial hair growth in multiple ways. Its antiseptic properties help to battle against the build-up of residues around your hair follicles and enable the free flow of sebum around the shaft of your facial hair. It also reduces inflammations around hair follicles, ensuring faster, healthier and fuller facial hair growth. Polygonum Multiflorum, also known as Fo-Ti root and He Shou Wu, is considered to be one of China’s most potent tonic herbs. A recent study proved that Polygonum Multiflorum Extract ensures facial hair growth by inducing the anagen (growth) phase in resting hair follicles. This gives you the ability to overcome the primary cause of poor facial hair growth – a prolonged hair follicle resting phase. It is important to apply Beard Growth Spray to dry skin. If the skin is not dry, it becomes harder for the 100% natural ingredients to penetrate deep into your skin. Many men like to apply BGS after taking a shower. If this is the case, try to wait until you are dressed so that your skin has ample time to dry before applying BGS. While BGS can be applied to your entire face, it is important to pay special attention to the areas where hair growth is noticeably thinner or non-existent. To apply it, all you need to do is quickly spraying the target area and letting Beard Growth Spray take care of the rest. Once you have sprayed the target area with the 100% natural Beard Growth Spray, spend a few minutes massaging it into your skin. This maximizes its penetration power and gives you the best opportunity for maximum results.